I love off-leash hiking with my dog. But the first time our trainer said, “Drop the leash” my anxiety was off the charts. A helpful technique she gave us was leash dragging. Leash dragging has helped me—anxious, clingy human—and Baxter—sniffy, independent dog—to get to a point where we can comfortably and happily hike off-leash together. Leash dragging is not necessary for every dog. We hiked a couple of weeks ago with a dog who wouldn’t go more than 10 feet from his owner. However, Baxter has a very large comfort zone and likes to follow his nose—so much that he sometimes seems to forget I exist. My technique of leash dragging involves a long line—about 10 feet long—looped onto our regular leash. Baxter drags this behind him along the ground. I do not hold the leash as we walk. I have occasionally picked it up and reeled him in if I can see him getting overly excited or thinking about choosing his own adventure. I step on the end of the line every so often if I want to slow him down, remind him we’re hiking together or he’s reaching the end of my comfort zone. How do you set up the leash? I found my long line at the dollar store. It’s the same woven fabric as my regular leash. It came with a cheap clip on one end that I cut off. I then tied big knots at the end and about 2 feet in from the end. These knots give extra “grab” if I have to step on the leash and stop it from sliding under my boot. The other end of the leash has a regular loop handle. I loop it through Baxter’s six foot leash to attach the two together. 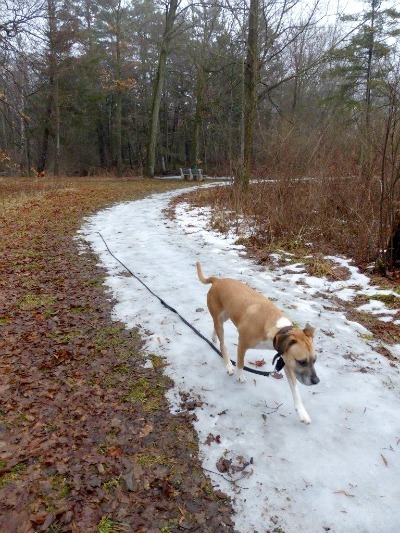 Note from Lindsay: I use the 30-foot leash from Mighty Paw for Remy (affiliate link). I love it! How do you leash drag? At the start of the walk, I usually hold our six-foot leash as usual with the extra line coiled up in my hand. Once we’ve walked a little ways and if Baxter seems calm and in-tune with me, I’ll casually drop the leash. As I mentioned above, if I feel I need to, I will pick up the leash again—essentially putting Baxter back on leash. Most of the time, it’s sufficient to step on the line every so often to reinforce my boundaries. After we finished our training classes, we joined our trainer’s off-leash hiking group. For every hike for over a year, Baxter dragged his leash behind him. That was a long time and we would occasionally get comments from other members of the group that they thought Baxter was ready to go off-leash. You know your dog—and yourself—best. Don’t go off-leash until you are comfortable. For us, leash dragging was both about setting limits for Baxter and building my confidence in him. I needed to feel good about both of those aspects before I unclipped the leash. See my post: Off leash hiking with your dog. We’ve recently returned to leash dragging, as he’s gotten a little over-exuberant and over-confident. There’s no harm in returning to the basics and reinforcing your training foundation. 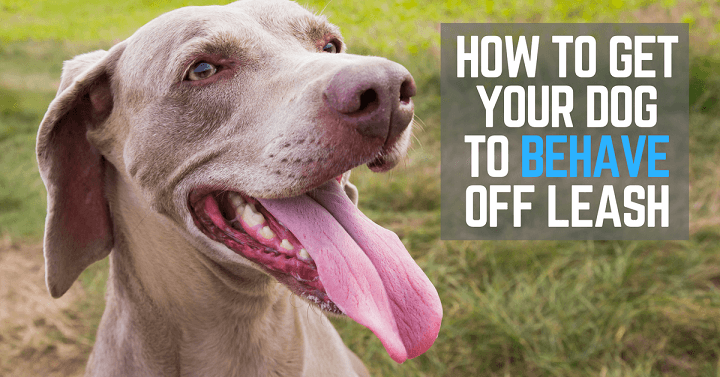 What are the benefits of leash dragging? 1. 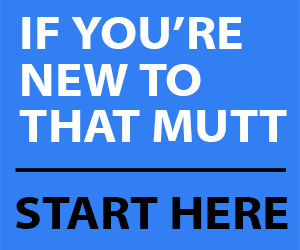 Helps you to define a comfort zone for your dog. I’m trying to shrink Baxter’s comfort zone. I love that he’s so independent and confident and I don’t want to take that away from him. Leash dragging helps me to set rules and limitations that I want him to respect. 2. Gives you a sense of security. When we first started off-leash hiking, I was nervous that I might lose my dog. The leash trailing behind Baxter gives me a sense that I could grab him or catch him if he decided to take off. It’s not always true—dogs are fast—but it made me feel more confident about hiking together. 3. Reminds your dog he’s with a human. I feel like Baxter is often calmer when he’s leash dragging. He feels the leash behind him and that keeps him more tuned in with me. 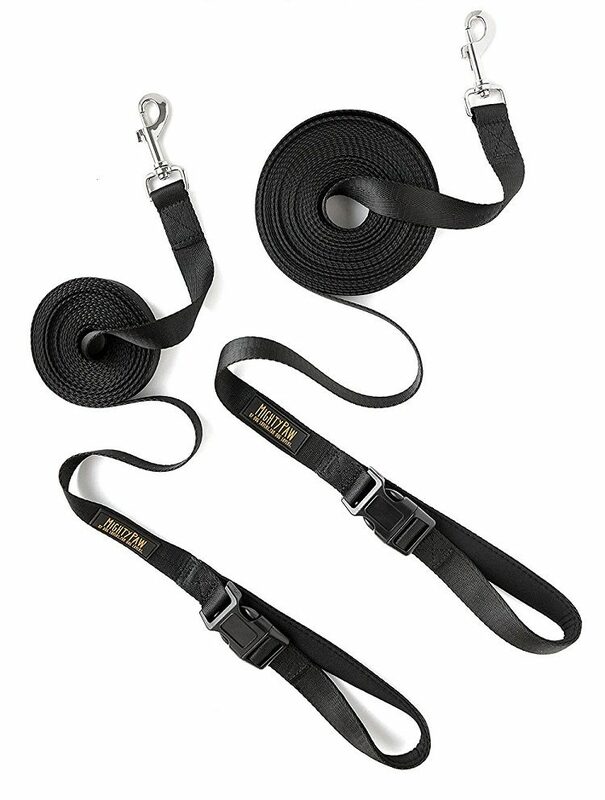 What are the drawbacks of leash dragging? 1. Leash dragging on its own will not teach your dog how to behave off-leash. There is no substitution for a strong bond with your dog and solid recall. Leash dragging can be one part of your training regimen. 2. Tangling. Tangling has honestly not been a problem for us and we hike in some pretty rugged areas. Most of the time the leash bumps along over the ground without issue. However, the leash may get hung up between rocks or around trees. Pay attention. 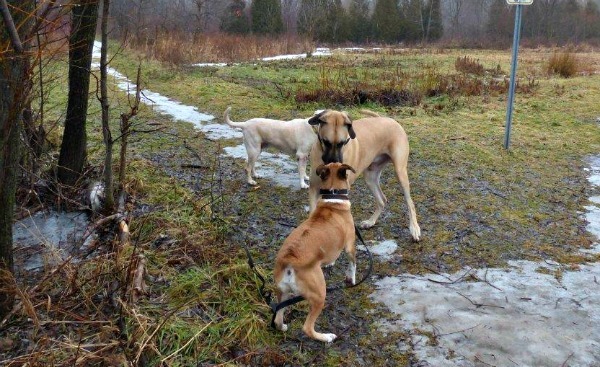 The other situation where a long leash can get tangled is in meeting other dogs. Again, this hasn’t been a huge problem for us, but when dogs are dancing around each other, someone’s leg could get wrapped up. 3. Tripping. A long line dragging along the ground can be a tripping hazard for human hikers. Watch your footing and make sure you don’t get wrapped in the leash or accidentally step on it. If you’re hiking in a group, make sure people are aware that your dog will be leash dragging. 4. Be prepared to sacrifice a leash. The dragging leash(es) will take a beating. They’ll get worn and frayed by the ground. They’ll get wet and muddy. I’ve found leashes hold up surprisingly well, but you may not want to use your fanciest most expensive leash for dragging. Hiking with my dog is some of the most rewarding time we spend together. It gives both of us a lot of joy. When we first got Baxter and I realized how independent he was, I wasn’t sure he would ever be able to be off-leash anywhere—let alone in the woods surrounded by smells and animals and distractions. Leash dragging has helped us get to a stage where we can share this experience together. Note from Lindsay: Be very careful about rope burn on your hands! Depending on what kind of material your long leash is, it’s usually best to step on the leash as Julia suggested or wear gloves. I injured my hands years ago when a young Ace was running on a 50-foot rope and I grabbed the rope. Doh! Have any of you used this leash-dragging method? What feedback do you have? How did it go? I’ve used leash dragging to train Cookie to go off leash. I usually leash drag through the neighborhood until we get to the greenbelt. Then I take her off leash completely so she can run around and play with other friendly dogs. Leash dragging works well because I can’t run. If she’s close, I can always step on the leash. I always keep her on leash if we’re about to cross a street or if there are very small children or babies around. She has never hurt anyone, and I don’t expect her to. Unfortunately small children are unpredictable and so are trusted pets. Thank you for all you share. Glad to hear that you’ve used this technique and it’s worked for you and Cookie. Thanks for sharing your experience. I’ve never had to do anything like this with my dog Ace. He naturally stays close, especially if I have a tennis ball. With my dog Remy it’s more hit or miss. He will also fixate on a tennis ball if I’m throwing it, however that’s obviously not ideal! I don’t want to depend on a tennis ball to get my dog to pay attention. I do the leash dragging like you suggested. It is not perfect because he is so high energy that he’s racing around and it’s definitely a little hard not to get caught/tangled. I wouldn’t be able to take him hiking with a group and let him drag a leash because he’d be all over the place tangling everyone up. However, when it’s just us, the long leash makes me feel more comfortable. I also use the long leash when I want to take him to the park down the street and throw his ball. It gives me more comfort that I can grab him if he tries to bolt. These are all good examples of different scenarios where leash dragging can help. I’m still looking for whatever “tennis ball” captures Bax’s attention no matter what! Thanks for sharing this technique. I would like to give this off leash training to my Murphy. I have done this with my dogs for a long time. I recommend it to anyone that wants to train off-leash walking. It is a method of training commonly used by hunters to prepare a dog for field work. I don’t hunt but work in natural resource management and foster/adopt rescued Vizslas, so I know a lot of hunters. The only thing that has caused me problems is tangling in brush but you can buy long lines or ropes (at the hardware store) that resist tangling.